This was a visit to the various locations on the Mississippi gulf coast. First went down I-10 to the I-110 exit (46A) south to Biloxi. The Hard Rock Casino and Hotel was just to the left of where I-100 ends on Hwy 90. 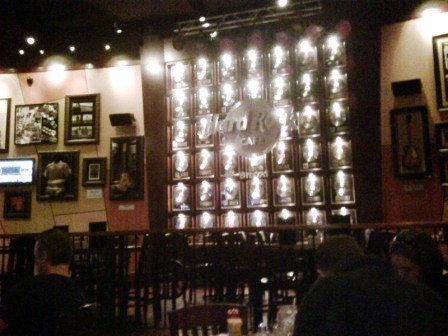 While at this casino, I went by the Hard Rock Cafe and ate lunch. I was a little disappointed in the casino since it was so small. Next to the Hard Rock Casino is the Beau Rivage Resort and Casino. I didn't stop to visit this one, but took a couple of pictures from Hwy 90. On the way to Gulfport on Hwy 90, you pass the 1848 Biloxi Lighthouse. It is in the median of Hwy 90. In Bay Saint Louis, I stopped by Hollywood Casino. It was bigger than the Hard Rock Casino, but would be considered a 3rd tier casino if located in Las Vegas. I wasn't really impressed by it.